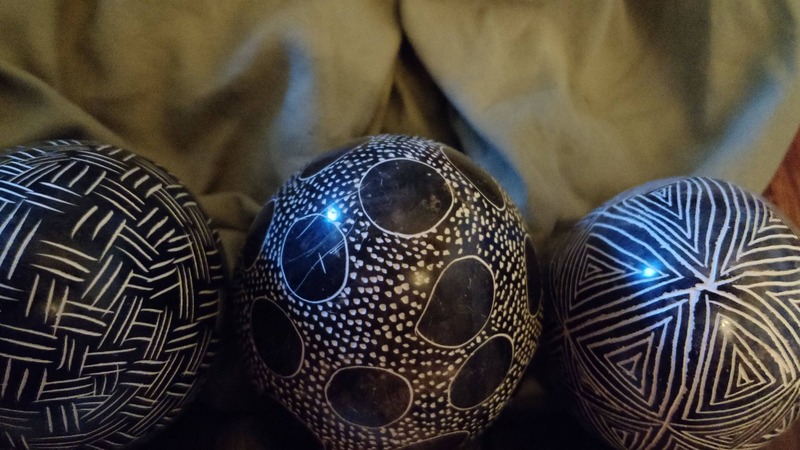 A set of three dark brown handcrafted Kenyan stone eggs. 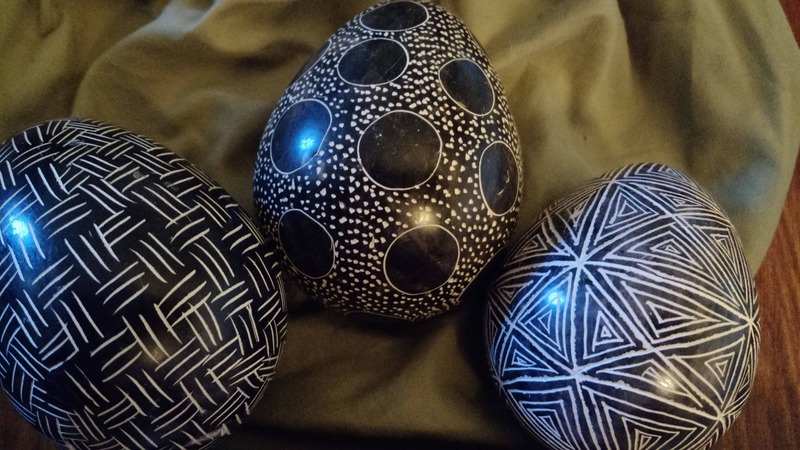 These eggs feature repeated design motifs common in African tribal art. They are vintage, imported from Kenya. The designs are very soothing and remind me of zentangle patterns. A great addition for primative decor.